We call these hats “Little Gems” because of their high ratio of trim to hat, and the vintage style bejeweling. They are based on the over-sized and nearly-excessively, yet perfectly trimmed Edwardian styles that marked the end of the Edwardian Era. For those who love the opulence and extravagance of the style and the time, we offer these easy-to-wear gems in many colours. Our miniature hats have a number of use, depending on their size. 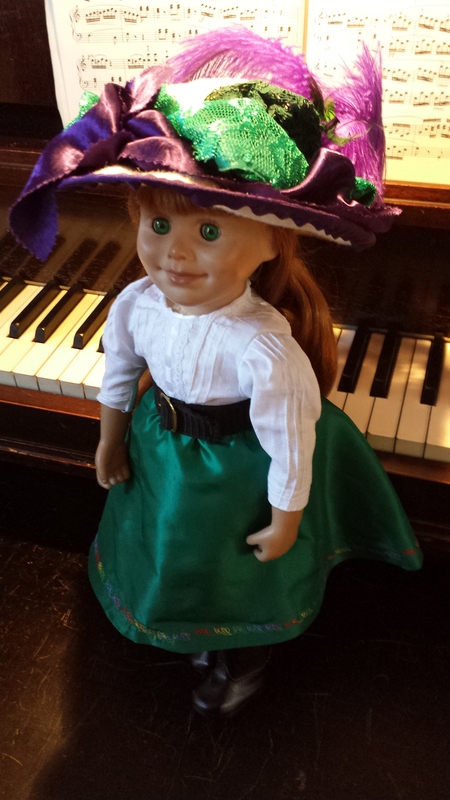 The 3” hats and bonnets just happen to fit 12” fashion dolls. They are just the right size to wear as a brooch, or to hang or perch as a decoration. The “Little gems” hats are sized for 18” Girl Dolls. These also work well as a fascinator for Life-Sized people!